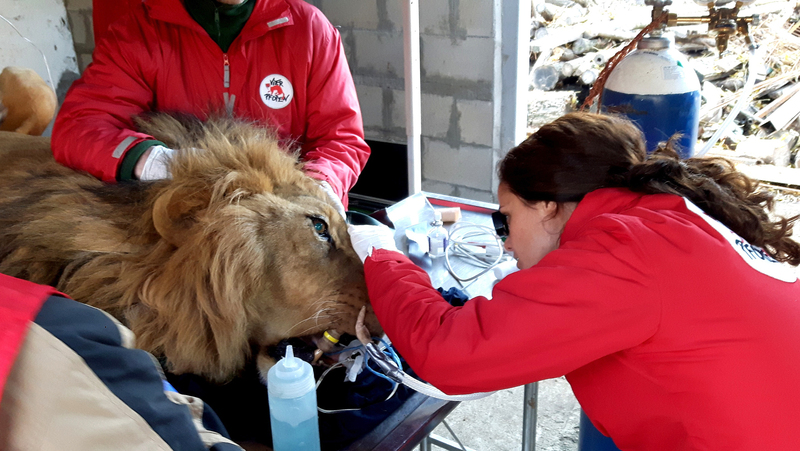 Dr. Maria Savova performed the ophthalmological examinations of the 5 lions from the zoo in Razgrad, where on 23.11.2017, an international team of FOUR PAWS Bulgaria (the Netherlands, Austria, and Bulgaria) held an action to help these animals. 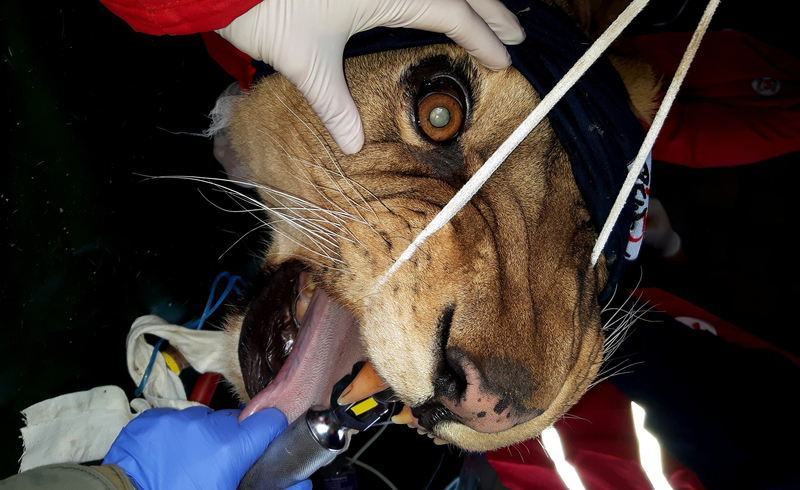 In the review, Dr. Savova found a problem with the adult lion Paradise – she had a lack of vision with the right eye due to cataracts (lens haze). 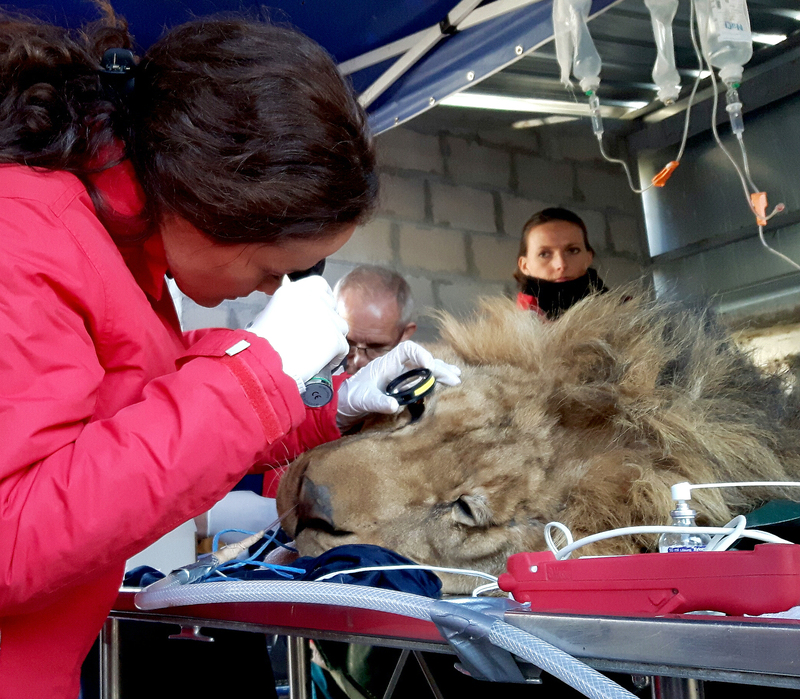 After the operation, the vision of lion has got better. 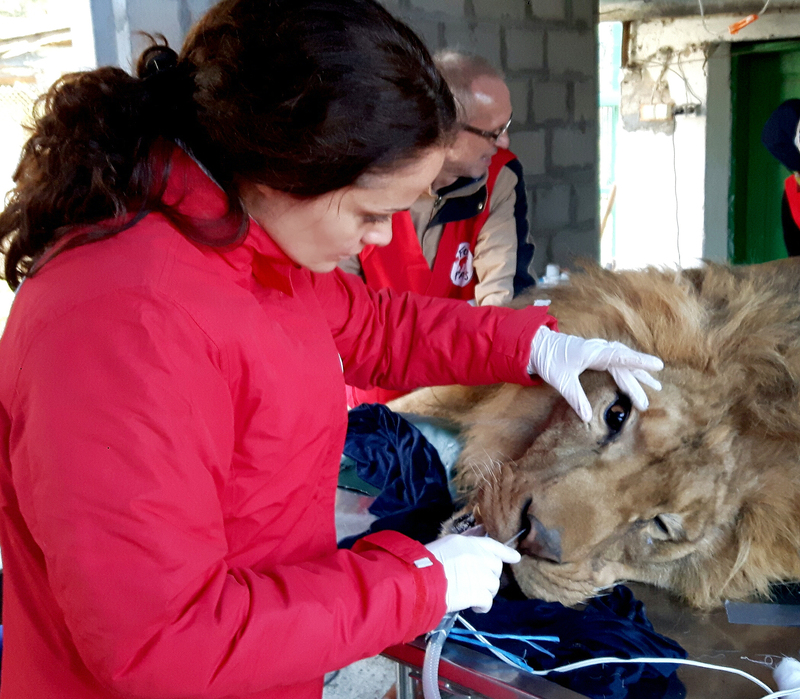 Thankfully to the Foundation FOUR PAWS Bulgaria for this successful operation, these wonderful animals were saved – today they live in better conditions.